How is construction affecting UAE real estate? There appears to be a common consensus within the UAE’s real estate community at present: namely, that the market is ‘bottoming out’. Earlier this month, Asteco highlighted a “continued focus on affordability” in Dubai. 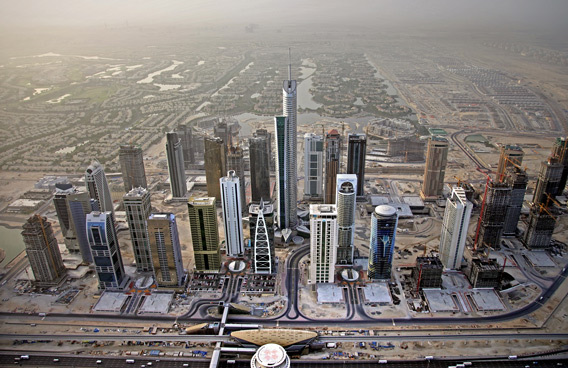 Prices in the emirate, the company noted, have fallen 5% year on year, and transaction levels have declined by 17%. In late-May, property specialist Core, UAE associate of Savills, announced its real estate ‘winners and losers’ for H1 2016. The company’s report, Dubai Investment Outlook H1 2016, noted that residential, office and warehousing locations performed strongest during the first six months of the year, while grade-B secondary location offices, affordable residential developments, and four- and five-star hotels proved less attractive investment options. Core UAE’s researchers found that prices in most of Dubai’s established, ultra-prime residential areas had demonstrated “relative resilience” in H1. Interestingly, however, even some of the best-performing areas underwent average price declines during this period. For example, while prices in Dubai’s Jumeirah area increased by an average of $1,900 (AED7,000) from Q1 2015 to Q1 2016, average prices in Emirates Hills fell by $1,100 (AED4,000) and in Palm Jumeirah, by $1,630 (AED6,000) year on year. Ian Hollingdale, sales director at real estate firm Chestertons’ Dubai office, concurs with this assessment. Speaking in late-May at the company’s Q1 2016 market talk in Dubai, he said: “The trick for buyers is to know when to step into the market, and not to miss that bus. I think we can confidently say that at the moment, that bus is moving out of the terminal and we need to be on it. “In terms of the outlook for Q2 2016, [the residential sector] is really encouraging. Prices have yet to move, and rental levels are correcting. But the signs are good and we’re seeing a change in attitude among investors and owner-occupiers alike. Tenants are clearly weighing up the benefits of owning property rather than renting, and this will inevitably lead to more realistic and sensible [returns on investment] for investors,” he told attendees. The real estate market appears to be witnessing similar trends outside of Dubai. Drica Rodrigues, sales director at Chestertons’ Abu Dhabi office, argues that the UAE’s capital city is undergoing a correction of its own. “Abu Dhabi’s [real estate] market, in all sectors, has undergone a correction. The market has reshuffled,” she explained, adding that this has resulted in a healthier real estate segment for the emirate.